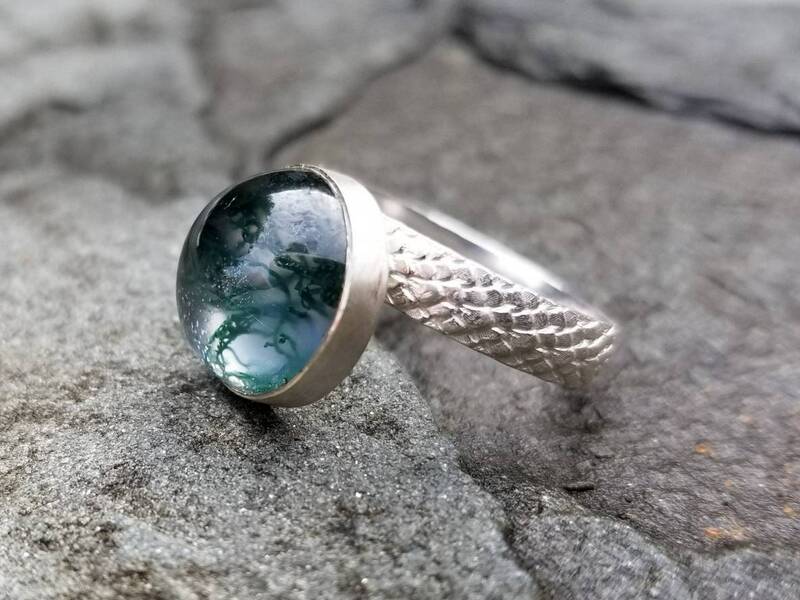 I fell in love with this stone, it is mesmerizing. 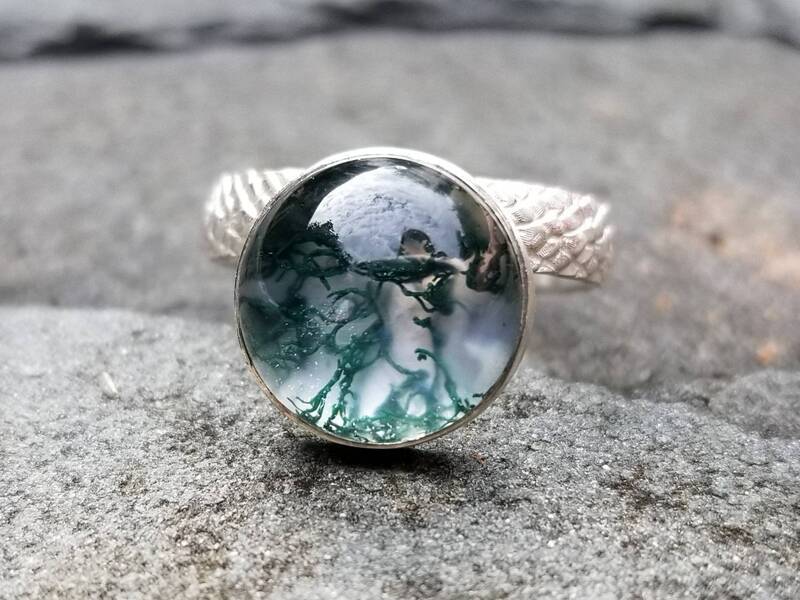 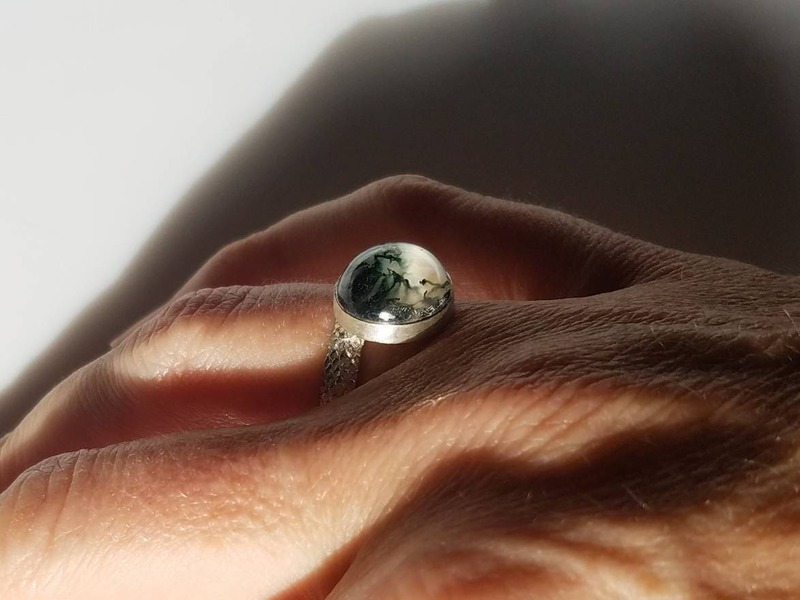 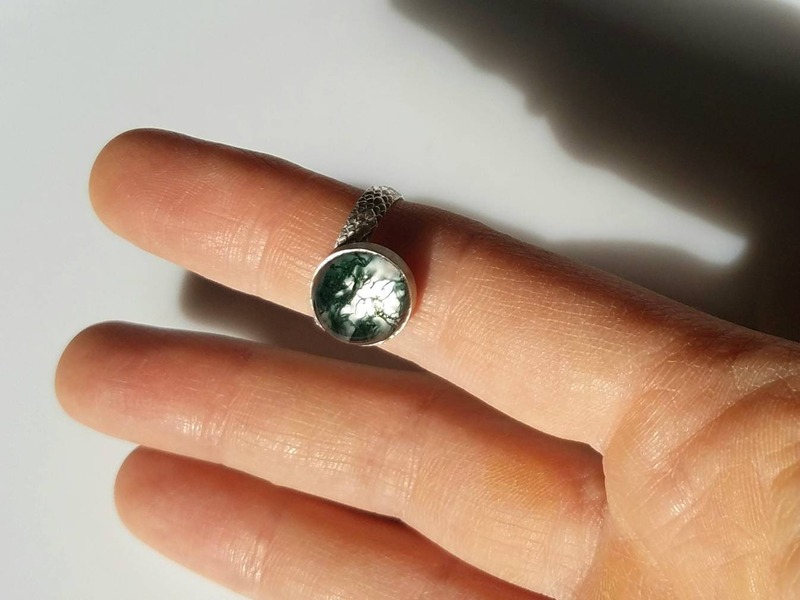 This doublet is a slice of moss agate fused with crystal quartz high dome cap. 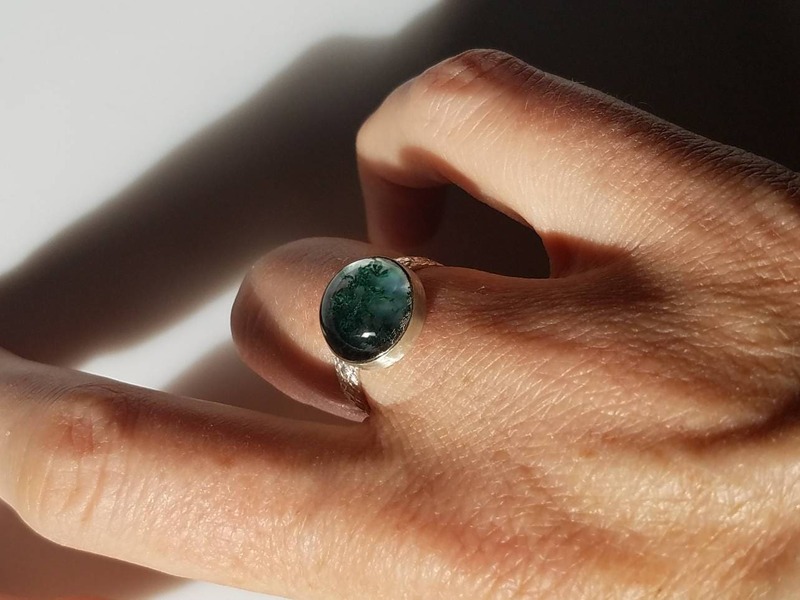 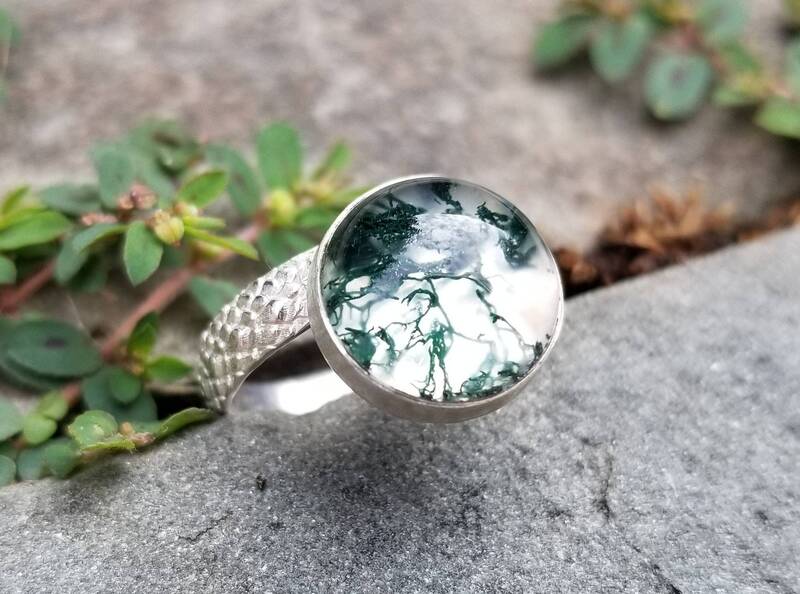 The lush green veining in the agate is magnified by the quartz, giving the cabochon an organic, three-dimensional look. 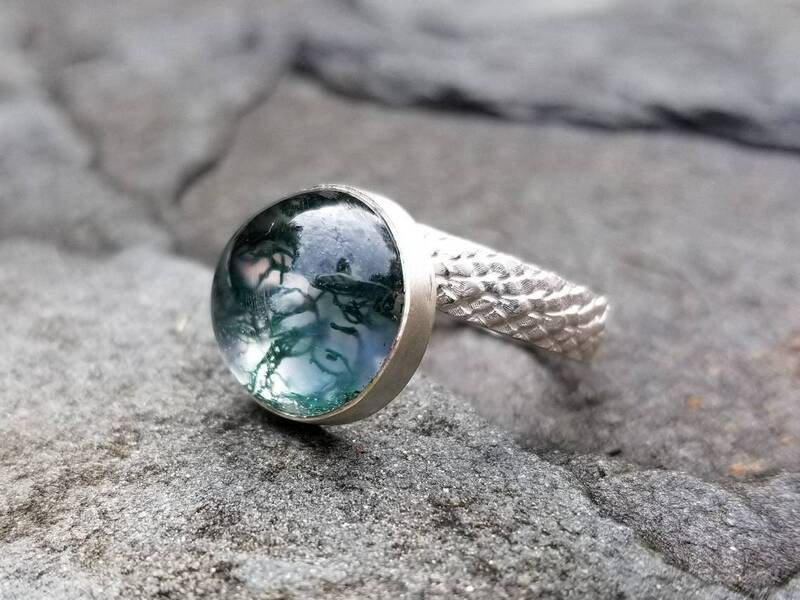 I mounted the 12mm stone on a cool textured sterling silver band that reminds me of snake skin. 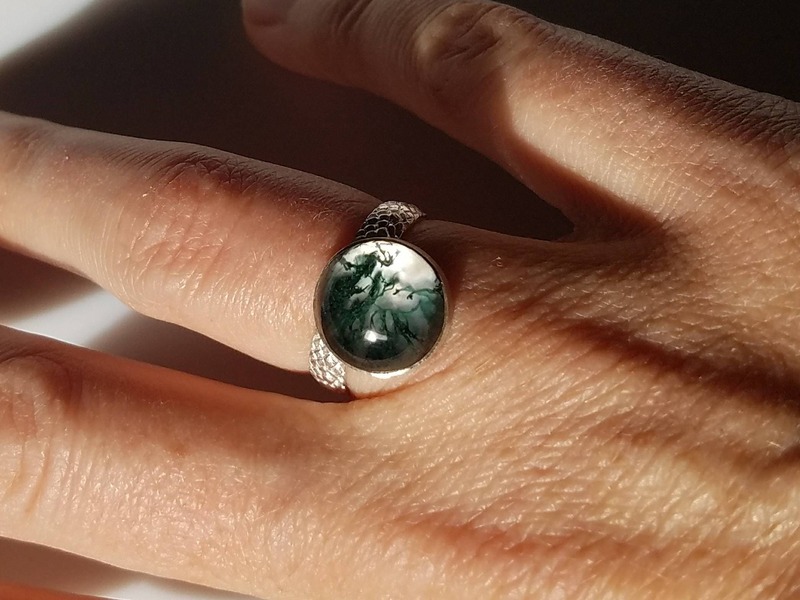 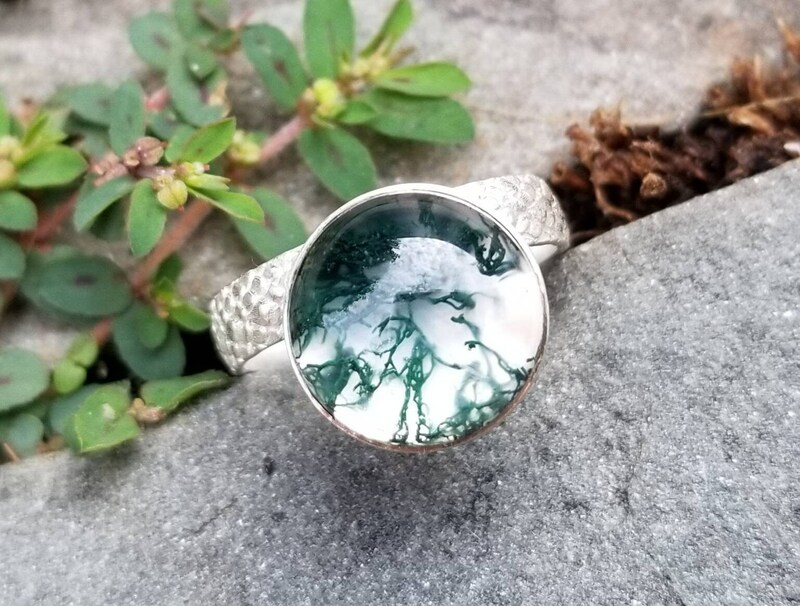 This ring is one of a kind.